In 1990 it was called “education’s dirty little secret”. Today it is becoming a worldwide phenomenon, but it often has no name, and is accepted as part of “what we do” in schools. It is teachers teaching out of their field of qualification. Many secondary teachers today are expected to teach subjects they are not qualified to teach. It is so prevalent that is has become almost normal, and a subject area that tends to suffer in silence is mathematics. In Australia, studies have shown that 39% of years 7-10 Australian mathematics classes were taught by out-of-field teachers, with 23% taught by teachers with no tertiary mathematics qualifications at all. There are programs around that are designed to try to address the problem of out-of-field teaching. The trouble is they are ad hoc and mostly limited to local initiatives at the school, network or regional level. A Rural Retraining scheme was a Victorian Government initiative designed to help registered teachers gain an extra teaching qualification in a “subject in need”. Initially it was geared towards a range of subject areas, including mathematics and science. However, support for mathematics retraining was the first to be removed because so few teachers applied for places. We can infer from this disparity between the proportion of out-of-field teachers and lack of willingness to retrain that schools appear to be accepting the status quo of out-of-field teachers, in mathematics especially compared with some other subject areas. The other trend to note is the high degree of funding currently being allocated to attracting newly qualified science teachers to rural, regional and hard to staff schools. While this is an important and much-needed policy, there are still no funding initiatives to retrain current out-of-field teachers of mathematics or science. The teacher supply issue is a state and territory government responsibility which must be addressed at that level, rather than by an individual school’s creativity and curriculum compromise… Schools where these shortages exist, are deeply concerned by the lack of action of governments and the threat to quality learning of their students. The staffing allocation rules used by various authorities do not adequately address inequities and variations in schools… Differential staffing and teacher supply models are needed to address the inequities in the various schooling systems across Australia. Fifteen years on, this issue remains an major concern. We have entered an era of national accreditation of teachers and national curriculum, increased school accountability and movement toward greater school autonomy. There is a need to examine how such policy directions exacerbate the problem. Reduce the need for out-of-field teaching. Improve the quality of out-of-field teaching. Increase the readiness of teacher graduates to teach out-of-field. Increasing the supply of science and mathematics teachers is imperative. We can do this by providing Government assistance to mathematics and science professionals and recent graduates to move into teaching. School leaders should aim to get the right people to teach science and mathematics in their schools, and make sure the ones they have are properly supported and resourced. At both the school and policy levels, there needs to be greater support for the re-training of out-of-field teachers. They need funding, time and space to adapt and understand new and emerging teaching approaches. Losing teachers due to stress from teaching out-of-field can be avoided by sympathetic and supportive school governance and leadership regimes. Some responsibility must fall on teacher education programs to prepare adaptable and flexible teachers. Pre-service teachers should be exposed to the likelihood of teaching out-of-field. They should learn the skills, knowledge and attitudes needed to be adaptable and flexible. They should be exposed to the variety of support mechanisms that can be provided, sought out or constructed by them if they are asked to teach out-of-field. It is also vital to focus on the development of resilience in pre-service teachers. We need to help them accommodate new and different ways of thinking, challenge their own beliefs, assumptions, values and practices when they are faced with the dilemmas and tensions of teaching, especially when they are faced with teaching out-of-field. Unless we start to do something about teachers teaching out-of-field, the problems we are already experiencing will only compound. It is time for us to get “education’s dirty little secret” out into the open and deal with it. 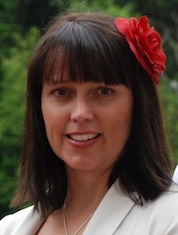 Linda Hobbs is a Senior Lecturer in Science Education at Deakin University. For the past seven years she has been interrogating issues relating to teaching out-of-field, such as teacher experiences, the role of teacher education in preparing out-of-field teachers, and policy contexts impacting on teachers and schools . In addition, she is currently Project leader for an Office for Learning and Teaching grant focusing on school-based approaches to preparing primary science teachers.